Turkey has forcibly returned thousands of Syrian refugees to their war-torn country since mid-January, according to Amnesty International. The organization says the move exposes “fatal flaws” in the newly signed agreement between Ankara and the EU. Around 100 Syrians are expelled from Turkey each day, according to research conducted by Amnesty. Many of the Syrians are not registered in Turkey. The news comes just two weeks after Turkey and the European Union agreed a deal aimed at stemming the flow of migrants and refugees into the EU. According to the deal, Turkey will take back all asylum seekers crossing into Greece, including those from Syria, in return for the EU taking in thousands of Syrian refugees directly from Turkey. 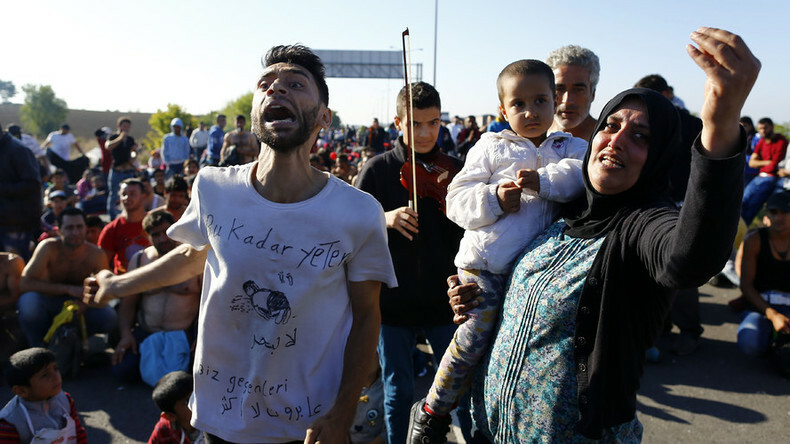 However, advocacy groups are now concerned that the deal – which goes into effect April 4 – threatens the rights of asylum seekers, and question whether Turkey is a safe country for them. "Far from pressuring Turkey to improve the protection it offers Syrian refugees, the EU is in fact incentivizing the opposite," said John Dalhuisen, Amnesty International's director for Europe and Central Asia, as quoted by AP. "Having witnessed the creation of Fortress Europe, we are now seeing the copycat construction of Fortress Turkey,” he added. “It's been clear for a long time that Turkey isn't safe as a place to send back refugees and asylum seekers, but if anyone was in two minds as to whether this deal was a good thing, this is surely concrete evidence now that there needs to be second thought and there needs to be much greater scrutiny of the details of how this plan will work out before its implemented,” he said. “So we're certainly calling on the EU authorities to halt the implementation of this deal and ensure that there are no refugees or asylum seekers sent back to Turkey at all...” Gardner continued. In earlier stages of the conflict, Syrians who held passports were able to cross at regular border gates, and those who entered illegally could register with the authorities. The rules have since been tightened, and now only those in need of urgent medical care are allowed to enter. 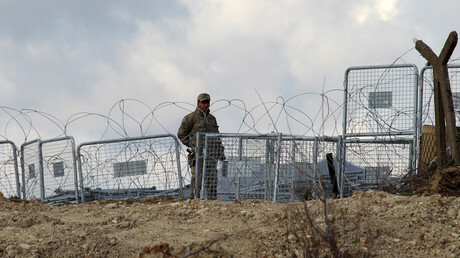 There are an estimated 200,000 displaced Syrians within 20km (12.4 miles) of the Turkish border. The tightened border restrictions and new visa requirements for Syrians have prompted many to solicit people smugglers, who charge an average of US$1,000 per crossing, according to Amnesty. The organization has also alleged that Turkish authorities have scaled back the registration of Syrian refugees in the southern provinces, which makes it impossible for them to access basic services. Meanwhile, the UN High Commissioner for Refugees (UNHCR) has called for safeguards to be in place before refugees are returned to Turkey from Greece, warning that conditions in Greece are deteriorating. "This is in light of continued serious gaps in both countries," spokeswoman Melissa Fleming told a Geneva news briefing on Friday. "The risk of panic and injury in these sites and others is real," she said, urging greater EU support to boost Greece's asylum system. The statement comes just one day after three people were stabbed on the island of Samos during a riot. Meanwhile, conditions in Piraeus and Idomeni – where over 11,000 people have been stranded since Balkan countries shut down their borders in February – are worsening. Europe continues to face the most severe refugee crisis since World War II, with over a million migrants arriving to the continent last year. Most of the refugees are from Syria, where 250,000 people have been killed and more than 12 million displaced since the country's civil war began in 2011, according to UN figures.